Just starting to learn how to grow an herb tea garden? This page will guide you through everything you need to know! Don't worry if your gardening skills are a little rusty, or if you have no gardening experience at all. That's okay! Big, Sweet Hips for Rose Hip Tea! I'm not recommending that you plant your herbs just any old place, then ignore them. Just assuring you that growing your own herbal tea requires neither a ton of time nor an abundance of gardening know-how! Have you thought about where you'll grow your herbs, how much space you have for them, and how many different herbs you'd like to grow? If not, you might want to take a few minutes to sketch out a basic garden plan. Do you live in a warm-weather region of the world? You're lucky! 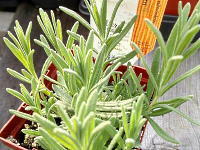 You can start your herb garden virtually any time of year. When is the right time to plant? When the ground has warmed and dried enough to sustain your herbs, and you're 99.9% sure there's no more ugly winter weather on the way. 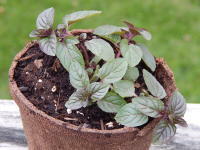 If the soil is too cold when you plant, at best your herbs won't grow very well. At worst, they'll die before they have a chance to take root. 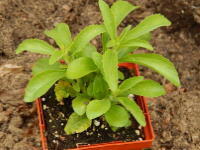 Wait until the soil reaches at least 60° F (16° C) before planting heat-loving herbs like Lemon Verbena and Stevia. Warmer is better. 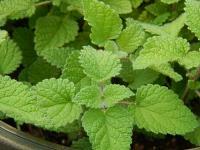 Mints, Bee Balm and other cold-tolerant herbs will be okay in soil that's 50° F (10° C) or warmer. Sowing seeds in your garden? They're not likely to germinate until the ground temperature is 65°-70° F (18°-21° C) for 10 to 14 straight days. This probe tells me the ground is still too chilly for planting. Sure, you can reach down and feel the soil. Or ... you can get an accurate reading with a soil thermometer. Just stick the probe into your garden soil, and measure the temperature below ground level - at least 4-6 inches (10-15 cm) deep. That's where your herbs' roots will sit, so it must be warm enough down there to keep them from catching a chill. Digging in soil that's too wet will ruin your soil's natural structure and turn your garden into a soggy mess. It gets even worse when your soil dries into hard clumps of gritty dirt. 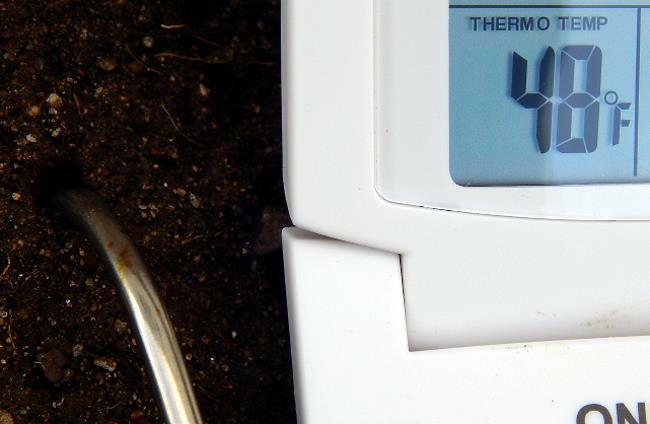 How do you gauge whether your garden soil is too wet for planting? Grab a handful of soil. Squeeze it. Then open your hand. If your wad of soil is all gloppy and sticks together when you poke it with your finger, it's too wet to work with. Give your garden some time to dry out a bit, then test again. When the soil forms a loose ball that crumbles apart easily, it's just right! 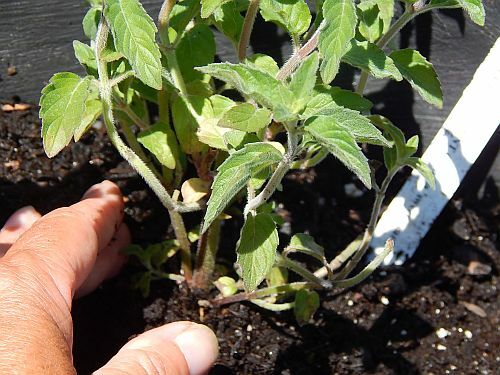 Warm, Lightly Moist Soil. Ready for Planting! How does your soil drain? Too-fast drainage allows water and nutrients to slip right through your herbs' roots before they can soak in what they need. Not good. Too-slow drainage leaves the roots sitting in water, and root rot can set in. Also not good. Dig a hole in your garden. Make it about a foot deep and a foot wide. Now, time how long it takes all the water to drain from the hole. 10 to 20 minutes? That's what we gardeners - and our herbs - hope for! Helpful Hint: Does your soil drain too quickly or too slowly? Not to worry! In most cases, soil problems are fix-able. Here's a great article about improving your soil. Make sure to set nursery-grown herbs (a/k/a "starter plants") in their new home at the same depth as they were in their original pot. When growing your herbs from seed, be careful not to bury the seeds too deeply in the dirt. Herb seeds (most varieties, at least) need sunlight for germination. Simply scatter them over the surface of your soil, then tamp down gently to firm them in. As soon as your herb plants and seeds are in the ground, water them in. For seeded areas, be gentle with the hose or watering can. If you dump a full stream of water on the area, you might dislodge the seeds. So give them a good sprinkle and call it good. Nursery-started plants can be watered a little more aggressively. But you still want to avoid beating them up or drowning them. 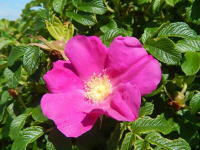 Give them a gentle spray with just enough water to settle the soil around them. After that, water as needed to keep the soil uniformly damp until your herbs are well established and growing strong in your garden. Congrats! Your plants and seeds are in the ground. 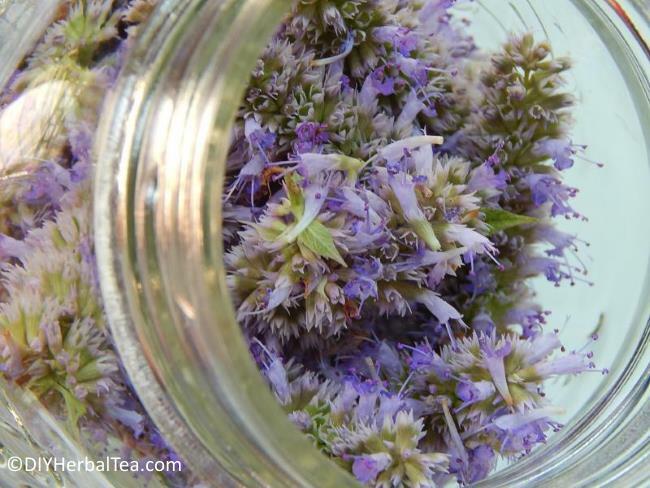 You're officially a DIY Herbal Tea gardener! Now, let's move on to the basics of maintaining your herb garden. 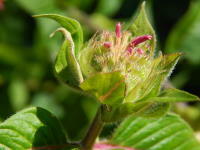 One of the biggest mistakes many first-time herb gardeners make is over-fertilizing. 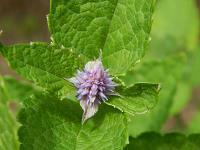 When herbs are over-fed, they grow big, beautiful, bland-tasting leaves and blossoms. Bland ingredients are definitely not what you want for your tea! 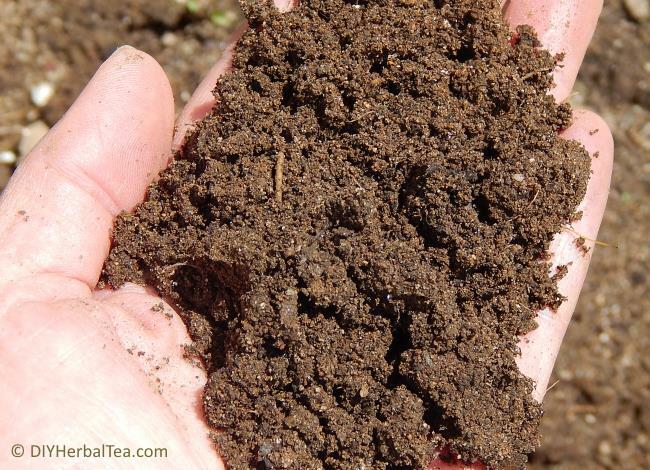 If your soil is on the "poor" side, work a little organic compost into your garden soil before you plant. Beyond that, an every-other-week feeding of an all-natural plant food (this is what I use), mixed at half strength, should be enough to help your herbs produce lots of wonderfully flavored tea. 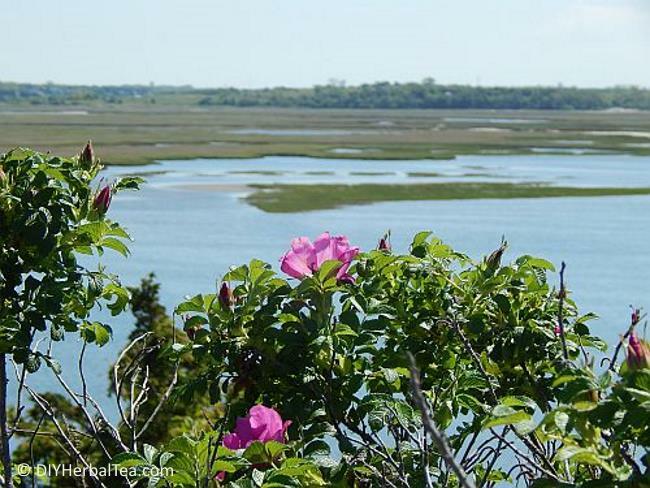 Rugosa roses (the variety that produces the best rose hips for tea) and lavender are two herbs that thrive in poor soil conditions. Be especially careful not to improve their soil too much or fertilize them too often! Sorry, there's no way around it. You gotta do it. 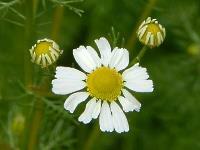 Your herbs shouldn't have to compete with weeds for sunlight, water, nutrition and air circulation. Plus, a nicely tended garden space looks so pretty. So keep it tidy! I'll admit it. I'm a lazy weeder. So mulch is my friend! A 2-3 inch (5-7.5 cm) layer of mulch is a huge help to keep weeds at bay, maintain an even soil temperature, and hold moisture in the soil. The biggest problem with other mulches is that you have no idea what kind of yucky stuff is in them. Recycled wood or rubber-based mulches might contain toxic chemicals from their "prior life". Plus, rubber stinks to high heaven in the hot sun. Blechh! Landscape fabrics do a good job of reducing the need to weed. But some fabrics do contain chemicals. And, if the fabric isn't permeable enough, it prevents water from getting through to your plants. So my mulching caution is: Be absolutely certain that any mulch you use is permeable, organic and 100% chemical-free. You don't want potentially toxic stuff anywhere near your tea ingredients! Tip: When mulching your garden, it's best to keep the mulch at least 4 inches (10 cm) away from the base of your herbs. 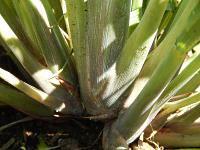 Putting it right up against your plants invites stem rot and bugs. As you get to know each of your herbs personally, you'll begin to recognize their "Gimme a drink!" and "Enough, already!" signals. How can you tell when your plants need water? Poke a finger into the ground. If the soil feels dry 2 inches (5 cm) below the surface, it's time to give your plants a drink. The best time to water your herbs is in the morning, before the sun starts beating down on your garden. Think of it like "breakfast" for your plants. Get them off to a good start with enough nice, cool moisture to sustain them through the heat of the day. A plant's roots naturally grow toward their moisture supply. 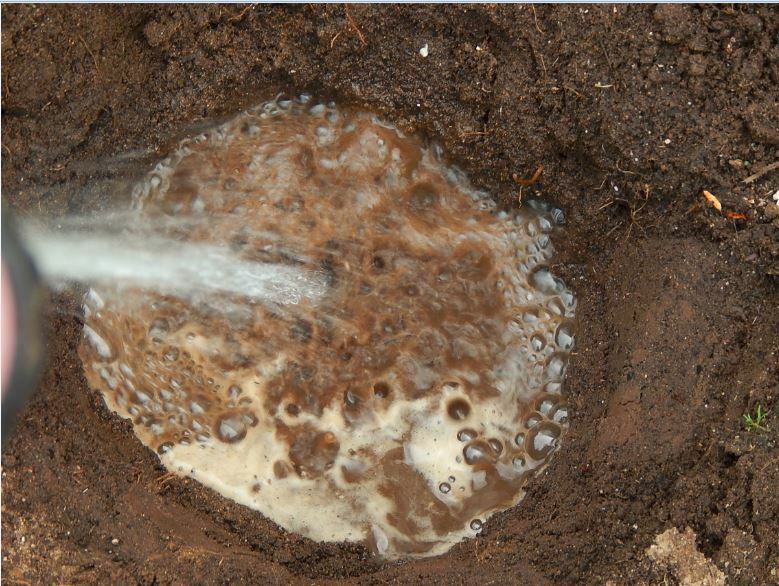 Daily, shallow watering results in weak, shallow roots. So water less often, giving your herbs a slow, thorough soaking each time. That'll help them grow a strong, deep root system. 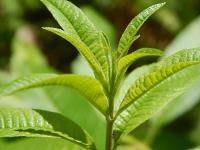 Want to know how to grow each herb in your tea garden? Be sure to explore these pages. You'll find lots of helpful information there!